And They Both Promised a Positive Campaign! Remember those dating days? Hangin' out with that special person you couldn't stop thinking about? Sitting in the car, listening to music and ... well you get the idea. Chelle and I started going out in October, 1976. You math whizzes out there will quickly figure out that means we have been together over 32 years. Music was and is an important part of our lives. We went to concerts together, listened to music, and probably spent way more money than we should have on the hot CD's of our day, or as they were known then, LP's. Those wonderful vinyl platters had such a warm sound on a good stereo that just cannot be captured in today's sanitized digital world. Here's a little bit of what we were listening to back in the late 70's. 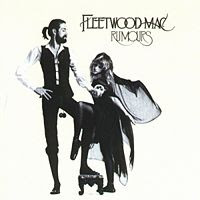 First up is Fleetwood Mac with Rumors. The biggest selling album back then. 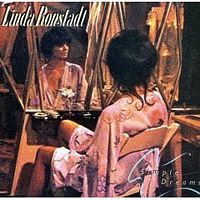 Next up is Linda Ronstadt with Simple Dreams. A lousy entertainer in concert, but Ronstadt possesses one of the purest voices I have ever heard. This album contained "Blue Bayou", but the highlight for me was her cover of the Stones "Tumbling Dice." 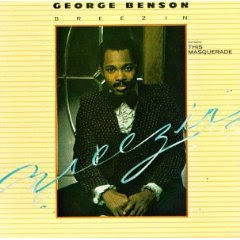 George Benson gave us a little jazz. His Breezin' album was the first jazz album to ever be number one on the Billboard Chart. It is a shame most people today only hear his music on the the psuedo jazz stations that serve up so called smooth jazz. 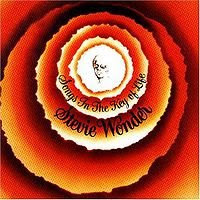 A little Stevland Morris, better known as Stevie Wonder. Songs in the Key of Life. Possibly the best album of the era. A classic double LP with more great music that anyone could've imagined. The amount of people who have covered songs from this album is incredible and continues today. And finally, Skin Tight from The Ohio Players. Complete with the best, lights out, makeout song of all time, "Heaven Must Be Like This." Hear it here! So these were big for us. What about you? Comments on "Back in the Day"
Dating days. Let's see how many bad memories can I drag up there? Eternal Flame - The Bangles: Probably one of the earliest songs that defined that my emotional side that eventually led to the poetry (and the blog of such). No specific girl there, but I have a acoustic version by Susannah Hoffs, who was the vocalist, and it still takes me there. Sweet Child O' Mine / Estranged - Guns & Roses: I can't point to specific albums, as I was still into singles defining moments (and most of that was a little angry), but these are the two best from G'n'F'n'R. The former is a love ballad, and the latter is the most chilling song of loss you could ever find. Home Sweet Home - Motley Crue: This is the first love song. The song lasted a lot longer than the relationship, but the relationship spawned my writing, thus the poetry, the stories, and the motivation 15 years later to get back to writing by tackling politics on a blog. Anything by The Doors: This was my foray into the music from the past. Inspired by a woman. Inspired my college radio days (I still have some aircheck tapes! ), eventually gave me some characters which now fuel my story blog. Lightning Crashes - Live: The first woman I almost married will always be associated with this song, which is about transitions in life. Long story, perhaps the song tells that story. REM - Out of Time and Automatic for the People: Didn't like them when I came out, but they're filled with forlorn and sad songs. Alanis Morissette - Supposed Former Infatuation Junkie: While Jagged Little Pill has more anger, rage and sadness, this one is more personal of the two, with tracks that tell you everything you could ever need to know. Nirvana - Unplugged in New York: The eulogy for Kurt Cobain, performed by him and the rest of Nirvana. If it doesn't stir your soul, you're dead. Sarah McLachlan - Surfacing: Possibly the most beautiful voice stuck to some of the most beautiful songs written. Can make any montage in any movie or TV show so emotional you'll have to break the manly no-cry rule. Bon Jovi - Crossroads: It's a greatest hits CD, encapsulates everything 80's to 90's that made the era great musically. One track inspired a song, one has a note that I can't sing, even in falsetto, and my musical experience wouldn't be complete without it in there. First off, I would argue that, "Songs in the Key of Life" is the best album EVER. Timeless, Stevie was way ahead of his time. I am still amazed how many times you hear a cover or a sample of Stevie's stuff. As for Ohio Players, how can you not like Skin Tight, "You a bad, bad, miss'... in those skin-tight britches... runnin' folks in ditches... baby you 'bout to bust ya stitches... " or something like that. These songs aren't exactly my era, as I was born just a couple years before you and yours started dating ('74), but I tend toward 70's R&B as my music of choice. Mrs. Bullfrog and I started courting in 2003, and our song was "Shining Star" by, no, not Earth, Wind, and Fire... good guess. The Manhattans. "Brickhouse" by the Commodores is also special to us, kind of an inside joke... other than that, we both really love Third Day and listened quite a bit then, still do. Tao, Chris Cross? Sailing just kills me. I like the Al Stewart mention. Year of the Cat. But your list is pure good/evil for me! Bullfrog, I too love Third Day. Mac Powell has a good ability to evoke good emotion from a Christian sense. Patrick, The Doors were my brothers favorite, but I loved the song 20th Century Fox. If ya'll notice, Skin Tight must be opened up completely to get the full album cover effect. How can you even duplicate that on a CD? Dave: You get the same effect with Led Zeppelin's Houses of the Holy. The CD cover art doesn't do the LP album justice (and I have both). Ok, so even though I wasn´t around back then, we still do things like that. My wife and I frequently go see local concerts of local bands in Portland...those are some of the best dates we´ve had. Take heart James. One day too will be able to say, back in the day! Good stuff BB. Thanks for stopping by!